HDFC Bank, for instance, held on to its Best Large Bank title for the third consecutive year. May you live in interesting times! The Chinese curse aptly explains bankers' dilemma in a volatile global environment with China throwing up surprises every other day. Besides, the disrupters from non-banking financial companies (NBFCs), telecommunication firms and wallet companies are on the loose, and the lazy banking days of regulated savings rates and reluctance on the part of banks to transmit interest rate cuts to customers are becoming passe. We are also witnessing a lot of action in the Rs 73.88 lakh crore loan book size of the banking industry - something that has stolen the sleep of even seasoned bankers. The Reserve Bank of India (RBI), on its part, is also involved in rewriting the old ways of doing business under celebrated economist Raghuram Rajan. In the midst of all this chaos - a slowing domestic economy, stressed corporate sector and an ever-worsening asset quality - the Business Today-KPMG Best Banks study raises a toast to financially-sound banks that are building a strong foundation to prepare for the future. New-generation private bank, HDFC Bank, for instance, held on to its Best Large Bank title for the third consecutive year. Two mid-sized banks - Uday Kotak-managed Kotak Mahindra Bank and Yes Bank - with a little over a decade behind them, grabbed the two most coveted jury awards. Kotak Mahindra Bank was adjudged the Most Future-Ready Bank, while Yes Bank ran away with the Most Improved Bank trophy. HDFC Bank and Yes Bank were also overall quantitative award winners based on the parameters decided by KPMG India. Public sector banks, however, were conspicuous by their absence in the Best Banks awards, with the lone exception, State Bank of India (SBI), winning the jury award for Best Financial Inclusion Initiative (page 80). Most PSU banks which control two-thirds of the Indian banking space in terms of deposits and advances, witnessed limited credit growth, shrinking capital, dip in profits and deterioration in asset quality. For instance, return on assets (ROA) of public sector banks slumped to 0.46 per cent in 2014/15 from 0.50 per cent in 2013/14, while private banks recorded an improved figure of 1.68 per cent from 1.65 per cent during the same period. However, it's not all gloom and doom for PSU banks. Unlike in the past, the Central government has committed Rs 70,000 crore of capital infusion over the next four years. The 'Indradhanush' scheme is aimed at improving the governance standards. There are other path-breaking reforms, including the decision to separate the post of managing director and non-executive chairman. For instance, Bank of Baroda, the second largest bank in the country after SBI in terms of balance sheet, has appointed P.S. Jayakumar, a career banker who was heading VBHC Value Budget Housing, as its Managing Director and CEO. Similarly, the Chairman of the bank, Ravi Venkatesan, is a former chairman of Microsoft in India. In many PSU banks, the CMD post has become obsolete and, in some cases, professionals from outside have been roped in. Considering the new-found focus on digital and innovation, the BT-KPMG study introduced new qualitative awards - decided by the jury - such as the Best Digital and Most Innovative banking awards. HDFC Bank grabbed the Best Digital Bank award, while the largest private sector bank, ICICI Bank, got the Most Innovative trophy. Both top-notch private banks that revolutionised retail banking in India with products and deployment of ATMs are now fighting away the disruptors. Crowdfunding is slowly gaining currency to challenge the business model of venture capitalists as well as angel investors. Competition that initially came from non-banking players such as Paytm, which has secured a payments banking licence, is now looking more real. India Post, with its network, Reliance Industries with money muscle and NSDL, which was credited with wiping out physical share certificates, will create a disruption in their own ways. Both Aditya Puri of HDFC Bank and Chanda Kochhar of ICICI Bank are well aware that banking will not remain in its present form, especially the payments and retail banking delivery models. "We have used this opportunity to change the basic operating model to process loans concurrently instead of sequentially," says Puri. In fact, there are going to be many more players entering the banking business. There are 11 payments banks and 10 small finance banks including two full-scale banks - Bandhan Bank and IDFC Bank - preparing to spread their wings in the next one and a half years. "There is nothing like competition to keep you on your toes," says Paresh Sukthankar, Deputy MD, HDFC Bank. The dilemma many bankers are facing is whether branches would still exist in the new-age format. "You don't need 5,000 branches in the emerging new digital world," says Uday Kotak , Executive Vice Chairman of Kotak Mahindra Bank. Naresh Makhijani, Partner and Head, Financial Services at KPMG says there will be "no marble floors, high ceiling and romanesque pillars. No high fees for maintenance of infrastructure - only banking." SBI, with the largest network of 16,000 branches, is already experimenting with digital branches, which surprisingly no other bank has replicated so far. 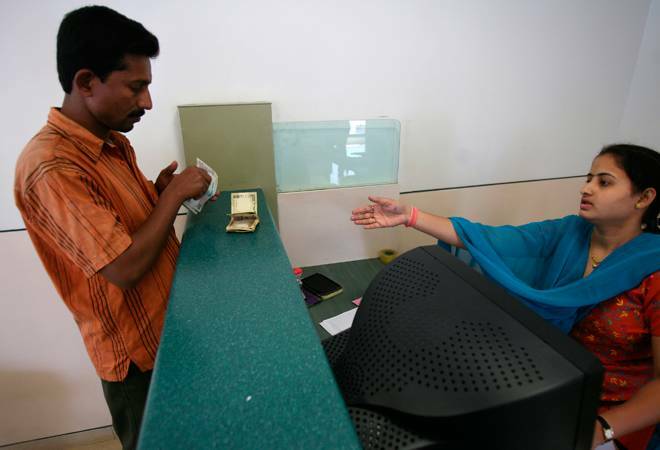 "We are experimenting and learning from our digital branches," says Arundhati Bhattacharya, Chairman of SBI. Even as 'mobile banking' is spreading to the billion mobile customers across the country, there are some bankers who are predicting 'wearable technology' as the future delivery channel. Who knows, some new technology or delivery channel might emerge later. In terms of business, while retail banking was the saviour, growing robustly at over 20 per cent, corporate advances declined below 10 per cent. The stressed book of the corporate sector with falling profitability level, high debt and low debt servicing capacity has a direct impact on the balance sheets of banks. This also reflects in the gross NPAs of Rs 3.23 lakh crore in 2014/15 - growth of 22.70 per cent as compared to the previous fiscal. But corporate loans are trickling down to new sectors. "We are getting projects from some new sectors such as renewables, roads and mining, " says SBI's Bhattacharya. Even as banks are gearing up to handle operational, business and future challenges, the threat of cyber attacks and fraud is also on their minds. The recent Bank of Baroda money laundering case is an example of bankers sleeping under the wheel. The regulators, too, were found wanting. In these difficult and uncertain times, another Chinese proverb offers something to ponder upon - Nothing in life is to be feared, it is only to be understood!